It is the dead of winter. It has been quite a cold and snowy weekend around here. I have plenty to keep me busy. I am in the middle of painting two clocks and got a little weary of painting them. I wanted something quick and fun to paint so I made these two ornaments. 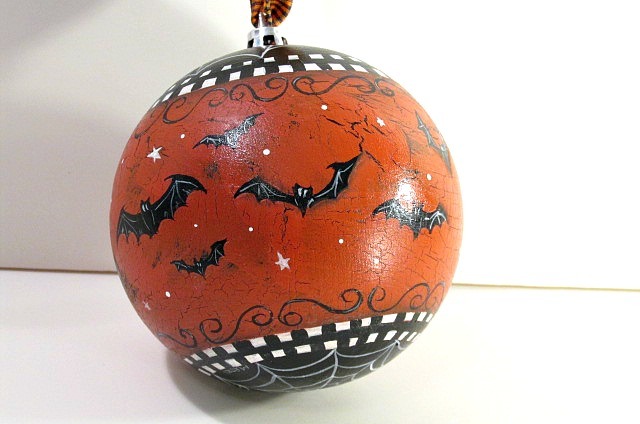 Nothing screams January cabin fever like painting Halloween ornaments, huh? The second one has a colony of bats flying about and some webs on the upper and bottom portion of the bulb. 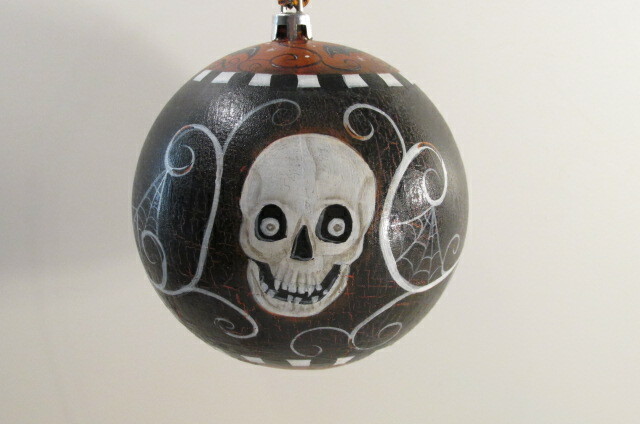 If you are interested and want to see more pictures of these ornaments check out the listings in our Etsy store.